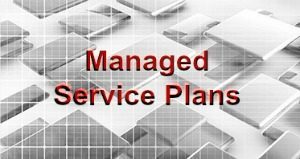 Our Geeks 42 Managed Service Plans are tailored to fit your needs. These plans are designed to be easily understood, and flexible. They allow you to select the right amount of support based on your business technologies. We also provide residential customers with managed service plans for home technology piece of mind. The Geeks42 name revolves around pop culture and the cult novel "The Hitchiker's Guide to the Galaxy"*. What is a Geeks42 Managed Service Plan for Business? We work as your IT department. The plan is a package of services dedicated to computers, servers, network monitoring and maintenance. Provide you with reduced operating costs. Remove the complexity of managing IT issues. We maintain the computer hardware and other components of your IT infrastructure. We identify potential problems early and use scheduled maintenance to fix any component that shows signs of problems. You avoid the time loss and cost of an unplanned shutdown of computers of IT infrastructure in the middle of your business day. We watch your network remotely 24/7 to make sure it is running properly. We're able to we prevent issues from creating problems for your business. Our monitoring helps prevent downtime, data loss or expensive repairs. Computer software is so powerful and complex that it opens itself up to security vulnerabilities. Those may be exploited and will wreak havoc on your systems. 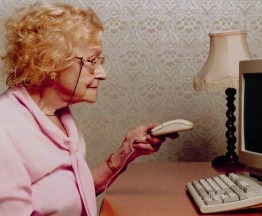 Staying up-to-date on all the updates and patches of software and applicatoins is a large challenge. Often businesses ignore this until it’s too late. Madison Geeks will deploy a tightly managed patch plan to keep your software up-to-date. You can't afford to lose your data. Be it at the hands of a natural disaster, human error, or cyber attack. Having the correct backup system in place and managed is paramount to prevent the loss from being permanent. We evaluate your data needs and design a backup plan with a system to fit your budget and business needs. Our cost-effective managed IT services provide peace of mind, knowing you always have the right services for your business goals. Your business manager will like that you pay a flat monthly fee for unlimited managed IT support. Increase efficiency, reliability and security. We offer three main services plans to get you the technology support you need, performed on-site or remotely, or a combination of both. We also provide annual contracts for businesses which cover remote server management and maintenance, again based on a flat monthly fee. What is a Geeks42 Managed Service Plan for Residential? We work as your personal IT technician. It's a package of services dedicated to your home laptop and desktop computers, smartphones, Wifi access, home network and smart devices. This plan is especially popular with siblings who purchase it for their older parents. They want to make sure their parent's computer needs are taken care of, either remotely or in their home. It gives them all peace of mind knowing that trusted computer help is just an email, chat or phone call away. 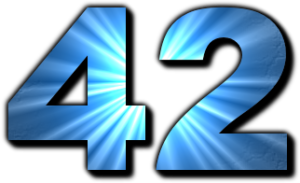 *From Wikipedia: The number 42 is, in The Hitchhiker's Guide to the Galaxy by Douglas Adams, the "Answer to the Ultimate Question of Life, the Universe, and Everything", calculated by an enormous supercomputer named Deep Thought over a period of 7.5 million years. Unfortunately, no one knows what the question is. Thus, to calculate the Ultimate Question, a special computer the size of a small planet was built from organic components and named "Earth"... Pretty Geeky, huh?